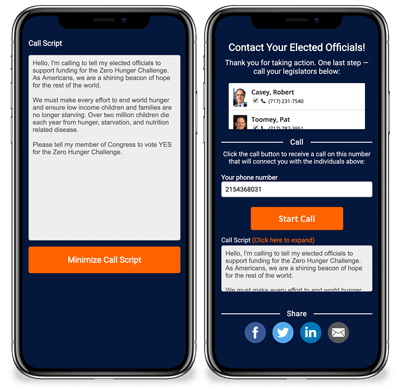 One Click Advocacy is our flagship advocacy software platform, which includes innovative communications tools such as photo and video messaging, integrated text messaging to advocates, direct social media posts to legislators profiles, rotating email messages, auto-population of advocate data into our webforms, and much more! 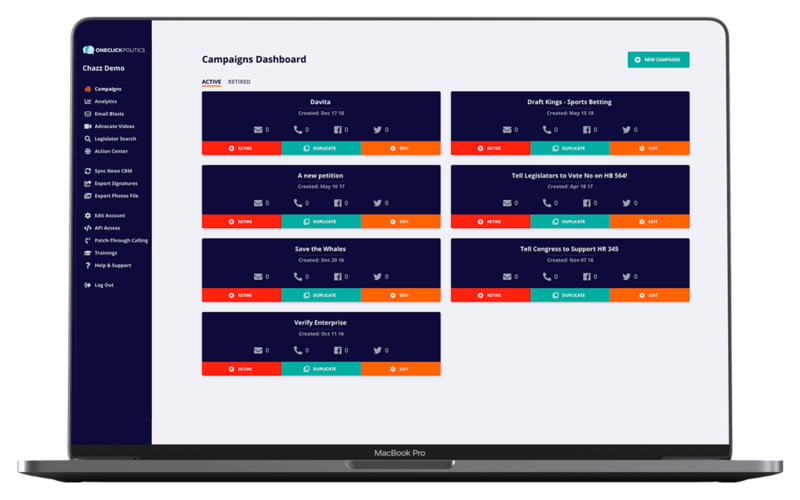 Breakthrough campaign analytics and tracking tools allow you to benchmark and measure your advocacy campaigns. Our innovative dashboard puts you in the driver seat. Build reports and check campaign metrics faster than ever! You need to get your message delivered to the right audience at the right time. One Click Advocacy has advanced features that help you deliver your message to individuals or many stakeholders in the policy arena. Our database targeting allows you to contact lawmakers at all levels of government as well as media and corporate leaders. Local - Mayors and City Council Members. State - Governors, State Senators, and State House Reps.
Federal - United States Senate and House Members. Chiefs of Staff, Communications Directors, Press Secretaries, Legislative Directors, State/District Directors, Legislative Assistants, Legislative Correspondents, etc. Target custom recipients by email, phone and Twitter.